International demand was to the forefront of the opening day at Goffs November Breeding Stock Sale, headed by the top five lots that were purchased by buyers from China, Australia, France, Spain and Japan. Topping today’s trade was the Listed winning mare She’s Complete from The Castlebridge Consignment (Lot 962 - pictured) who was sold in foal to Sea The Stars to Michael Donohoe of BBA Ireland on behalf of Yulong Investments for €350,000. Rifa Mustang Europe were among the leading purchasers of the day and among their acquisitions was the next highest priced Lot of the day, the winning Holy Roman Emperor mare Lost In Silence from the Irish National Stud (Lot 970). In foal to Invincible Spirit, the sister to G2 Monmouth Stakes winner Speaking Of Which was sold for €220,000. Laurent Benoit of Broadhurst Agency struck early in the day when going to €210,000 for the winner and Group 1 Moyglare Stud Stakes fourth placed Muirin from Baroda & Colbinstown (Lot 799), while another highlight today was the winner and Stakes placed Simawa from the Aga Khan Studs draft (Lot 977) who also sold for €210,000. A half sister to Derby winner Sinndar in foal to Gleneagles, Simawa is already the dam of Listed winner Silwana and Group 3 placed Summaya and was signed for by Francisco Bernal of Outsider Bloodstock – purchaser of yesterday’s Foal Sale top lot. The Moyglare Stud draft provided another standout on Day 1 of the breeding stock sale as Listed winner I’m Yours (Lot 980), an Invincible Spirit daughter of Champion mare Rebelline in foal to Ribchester, sold to Katsumi Yoshida for €210,000. 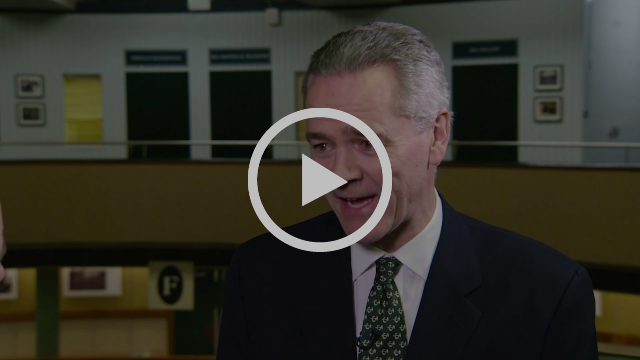 “In recent years Goffs has been privileged to handle a number of significant dispersals at our November Breeding Stock Sale. Who can forget the amazing atmosphere as Chicquita sold in front of a packed house for a record breaking €6 million whilst the Wildenstein Stables mares also added a real buzz before and during their sale? 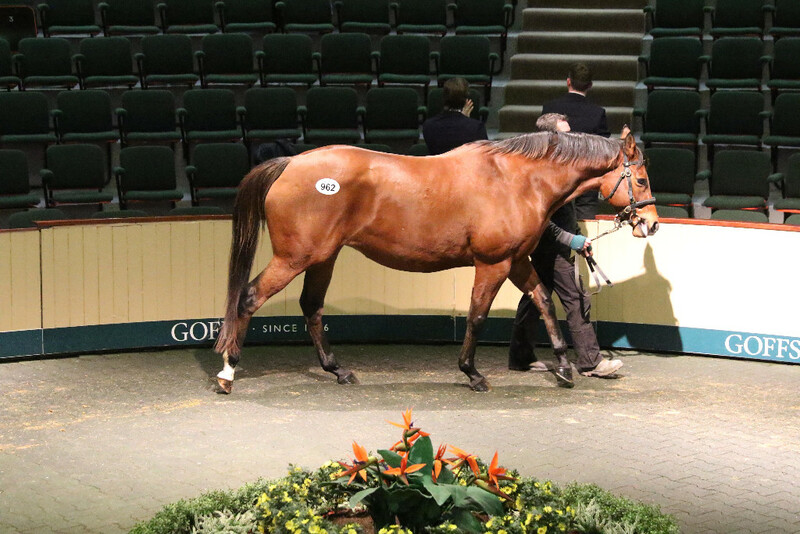 Last year was another catalogue with plenty of star appeal leading to a top price of €1.9 million. When this year’s edition was launched we highlighted 16 stand out mares that we felt held international appeal and set about promoting them to the widest audience. As it turned out 10 of them were withdrawn from the catalogue and we feel that was the difference when comparing yesterday with 2017. I stress we make no criticism of the vendors as it is absolutely their prerogative whether or not to sell but to an extent it does help explain the big drops in yesterday’s statistics. That said those that stood out and commanded six figure sums enjoyed a vibrant trade as a truly international group of buyers fought it out for the best we presented. In fact the top five lots sold to interests from China, Australia, Japan, Spain and France to clearly illustrate the global appeal of the best at Goffs. Away from the top lots it was a very different story however and I would be deluded not to refer to the stark state of the market beneath the top. Some of yesterday and most of today has proved extremely tough for breeders and we should not underestimate the ongoing challenges the industry is facing. In my 36 years in the bloodstock business I have seen many highs and lows, enjoyed selling in several strong markets and worked through some very trying times. However I have rarely, if ever, seen a trade that is both so strong and so weak at the same time. 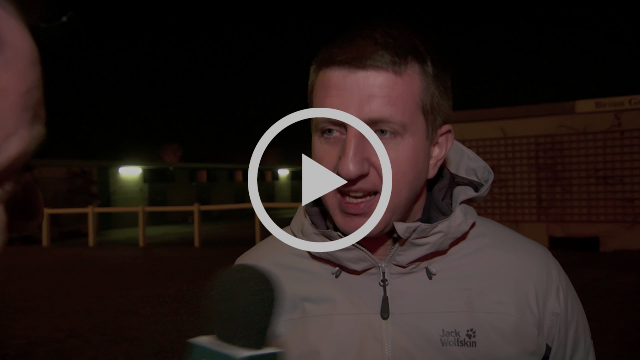 As we saw on Wednesday with the best foals, and at the Orby, there is an ongoing hunger for the best bred but today is just one of several days in recent months that would give huge cause for concern especially with the ongoing uncertainty of Brexit looming. “Polarised” is an overused description of the market at present but it is very accurate in our view and all we can do is double down on our efforts to seek out new buyers and promote the horses entrusted to us to the widest number of potential purchasers. As ever we are grateful for the support of our vendors, and never more so in such trying times, and our simple promise is to keep endeavouring the repay their trust as best we are able”.